For more than 50 years, the Rachele Family has been growing, packing and transporting pears, nectarines, plums and peaches to supermarkets shelves from its 300 acre farming operation, but it has recently struggled with rising energy costs. However, the family was wary that the farm’s aging electrical switchboard couldn’t support new infrastructure, and lacked the internal knowledge to assess or manage potential technology suppliers. Australian energy services business Verdia was asked to investigate technical solutions and provide funding via the Clean Energy Finance Corporation-backed Westpac Energy Efficiency Program. The company is a key partner in the program, which has provided almost $400 million to fund projects to reduce energy use and costs over the past three years. 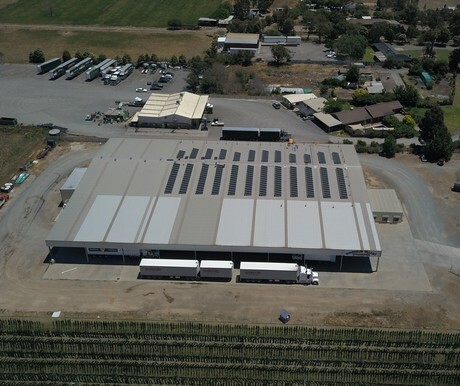 Verdia CEO Paul Peters said it selected the best of three proposals from its suppliers to install two separate 100 kW solar PV systems at the Rachele Group’s Central Park Orchards and Mountain Valley Produce Centre. The 500 solar panels are connected to the local electricity network via the farm’s internal electrical network and will produce 263,072 kWh of clean, renewable electricity in the first year; enough to power 45 typical homes. As well as cutting electricity costs, excess energy produced during non-peak farming periods is sent back to the grid, earning a small feed-in tariff. According to Peters, the initial capital investment in the solar system will pay itself off in five years and earn an additional $1.07 million in benefits over the life of the assets. After the initial investigations, Verdia managed the RFQ process and all aspects of the installation, connection and commissioning of the systems. It will continue to monitor the performance of the systems, with regular dashboard reporting showing energy production and cost reductions, and manage potential warranty issues.